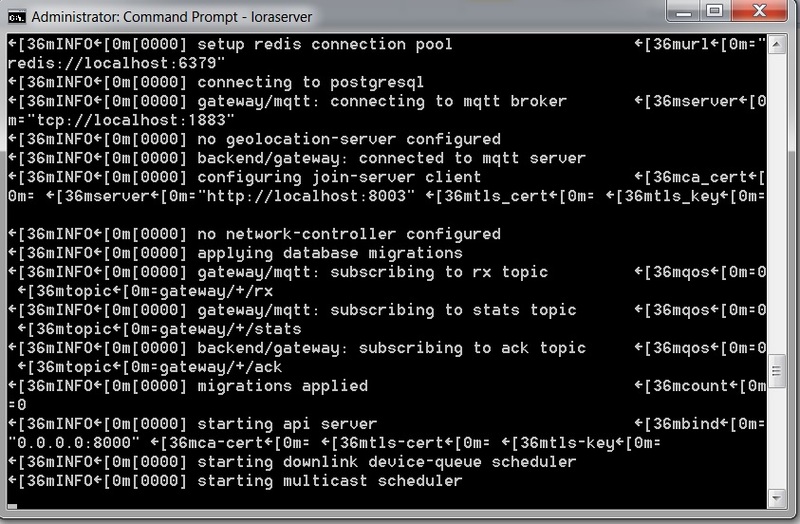 Hi , I am new in loraserver, but I need to install lora server over windows 7, and I am trying to run loraserver.exe (I have installed mqtt , redis, and postgresql). When I try to run loraserver.exe command from the cmd window, it shows me that the program is “starting muticast scheduler” and the program is waiting eternally in this process. What I need to go ahead in the process ?